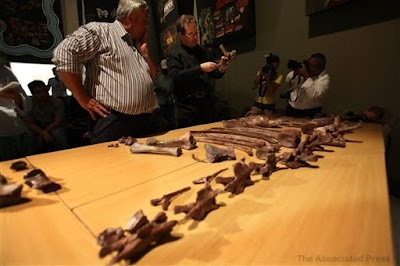 Paleontologists have discovered yet again another fossil remains in South Africa that will add up to the lined up species of dinosaurs that lived in the Jurassic time about 200 million years ago. With the discovery led by Adam Yates from the University of the Witwatersrand, it was exposed that the creature (Aardonyx Celestae) was some sort of plant-eating reptile about 6 feet high when dropped with all its four legs. This discovery as according to Yates will be one of the missing pieces of the puzzle that will unlock and better explain the evolution of these giant creatures that we only witnessed as skeletons.